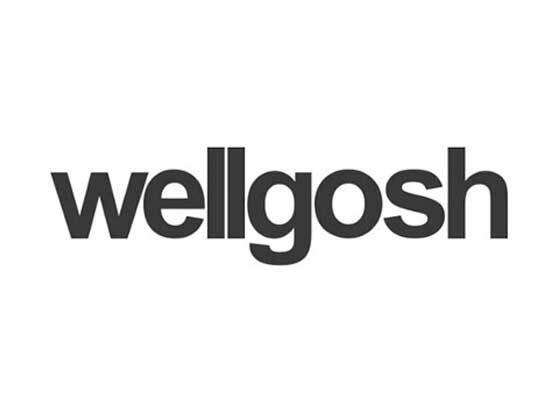 Refer official Wellgosh Website to view full Terms & Conditions. Purchase the huge range plain jackets, printed jackets, sandal, sweatshirt, t-shirts, pants and much more with a massive discount of up to 65% on sale items. Buy modern and stylish footwear which are suitable for every occasion with a huge range of variety at a great discount up to 30% on selected items at Wellgosh. Purchsae the trendy and fashionable casual shoes with a huge range of varieties which are suitable for any occasion at a massive discount of up to 75% on casual shoes. Well Gosh is a well-known brand in the fashion industry who sells quality menswear since its inception in the year 1988. It was born in Leicester UK with an independent retailer of well know designer labels. The company also has started womenswear section which has frequent new additions. You can browse through their wellgosh.com to find their huge selection of fashion labels including many popular brands. It is not only famous for its well-known quality clothing but also good customer service and experience while shopping on them. You can enjoy popular brands like Nike, Adidas with Well Gosh discount code. How to Redeem Well Gosh Gift Card? Simply, copy the code from the gift card and go to the website of Well Gosh. Add desired items in your basket. Continue to checkout, paste the copied gift card code in the suggested box. Double check whether if it is valid or not. Fill in your address details and place the order. The company allows returns up to within the 14 days of receipt. The items returned should be in its original unworn condition with its tags and packaging. You can use Well Gosh Discount Code from Dealslands website to avail discounts. Free shipping on the orders £100 plus. Browse through their sale section to find the latest discounts. Sign up for their newsletter to receive updates regarding the store and Well Gosh Vouchers. Follow them on social media account to never miss out on an offer. Thus, use one of the above voucher code to save at the time of checkout.